As a homeowner, conserving energy is a priority and a responsibility. As global warming becomes worse and as fuel and energy prices skyrocket, it is important to conserve for the sake of the environment and for the sake of your life savings. More than that, though, it is important to conserve because you want your home to be an efficient ecosystem with limited energy leaks and other inconsistencies that can negatively affect the homeostasis. During the more extreme months - when summer heat is boiling or when the winter chill hits the bone - it is even more important to save energy. Here is how to conserve energy when heating and cooling your home. First and foremost, you want to make sure your home doesn't have any major energy leaks. Theses leaks can be found in many different forms - the sealant may be crumbling on your windows or you may have a crack in your foundation. Moreover, you may have spaces under doors and around electrical outlets that let the outside air in and inside air out. If you want to conserve energy, you want to take measures to seal all these leaks. After you assess all your leaks and then take measures to seal them, you want to check to make sure your home has all the proper insulation it needs. Not only do you want to make sure there is enough insulation, but you also want to make sure the insulation isn't compromised in anyway. After a while, insulation can go flat and not work as well as it used to. When it comes down to it, attic insulation is the most important, because if you don't have a way to seal in the energy, it will simply escape through the roof, which will cause a number of problems - not only energy waste. Warm air can wind up melting ice or snow on your roof during the wintertime, which could cause moisture damage. 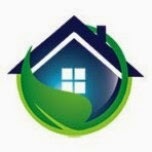 Next, you want to have your home inspected and evaluated for energy loss. When it comes to conserving energy when you blast your air conditioner and heater, you don't want there to be any glaring issues that you aren't addressing. You can hire a company like ConserVision Energy that will come in to your home and inspect all your appliances - including your HVAC system - to make sure everything is working efficiently. If there are any problems, they will be sure to let you know how you can make fixes or updates. At the end of the day, it is critical that you take measures to conserve energy when you have your heating system or air conditioning system blasting during the winter and summer months. When it comes down to it, not only should you assess your home for major energy leaks, you should also make sure that your HVAC system is properly maintained. For instance, you want to swap out the filter and clean the condenser coils on a regular basis. In the end, one of the best ways to conserve energy is to make sure your air conditioner and heating system are always in optimal working condition.